For me food is a passion, I love whipping up a storm in the kitchen and watching with delight as people eat my creations. Food is the first thing I think about in the morning and probably one of the last things I think about before I drop off to sleep. I even dream about food whilst I am asleep. I love when people share my passion, and it is for this reason that I love the Paul restaurants, boulangerie and pâtisserie shops. 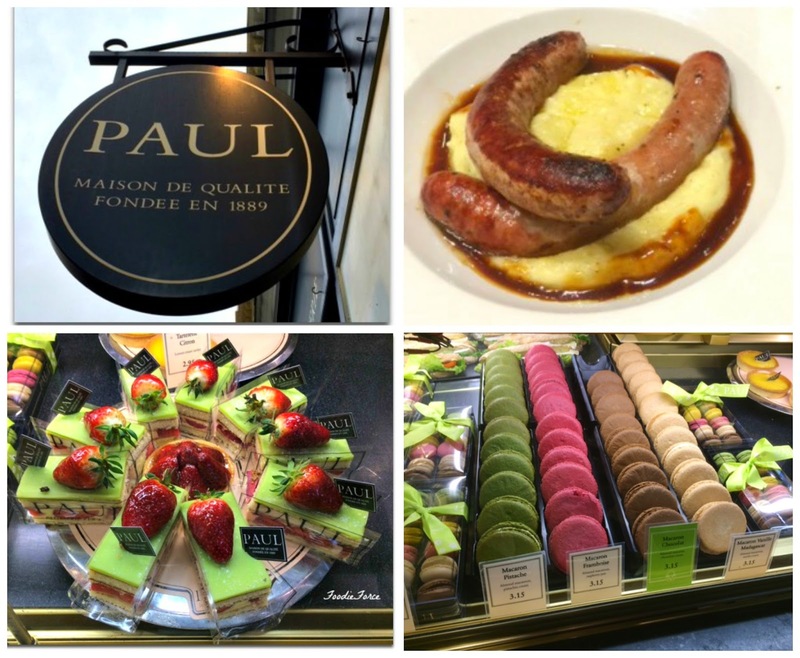 They share my passion for good French food and the traditions of baking that is steeped in family history. If any of you reading this like making your own bread or want to learn how to make the perfect loaf, Paul also run bread making masterclass (£75) you can find out more information here. The Paul shops are spread throughout London but my personal favourite restaurant has to be the one in Covent Garden. It is in the perfect location to stop off after a hard mornings shopping for a small pick-me-up. If you pop in during the afternoon, they also do a wonderful afternoon tea. But for lunch my personal favourites are the saucisses de Toulouse (£10.50). 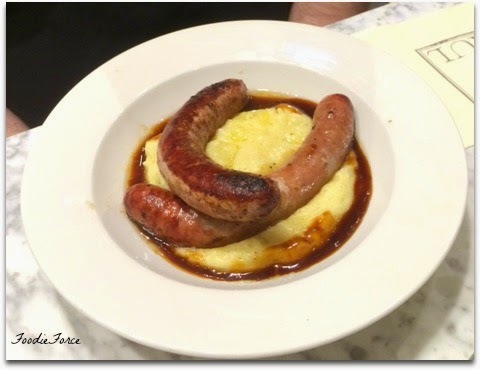 Traditional Toulouse sausages serves with buttery potato mash and Bordelaise sauce. This is the perfect comfort food, traditional sausages and wonderful mash. When in France I love to have a Croque Monsieur (£5.95). One thing I can tell you is that the British cannot pull this off. 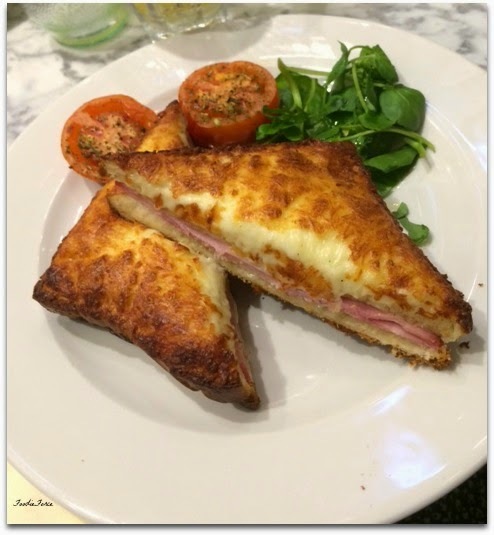 Paul's ham, Emmental cheese and cream in toasted Paul Pan de Mie and tomato is top notch and as good as it gets. 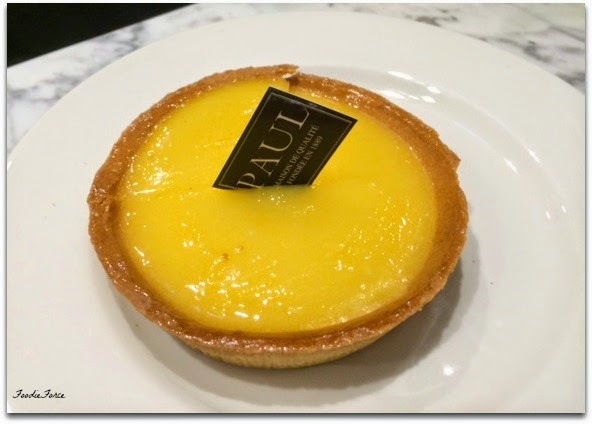 All good lunches need to be followed by a yummy pâtisserie and Paul's have so many wonderful cakes. As a foodie it is very difficult to choose. For those of you that have a similar challenge here is a little trick. Offer to go halves with your lunching partner in crime. This way you get the best of both worlds. 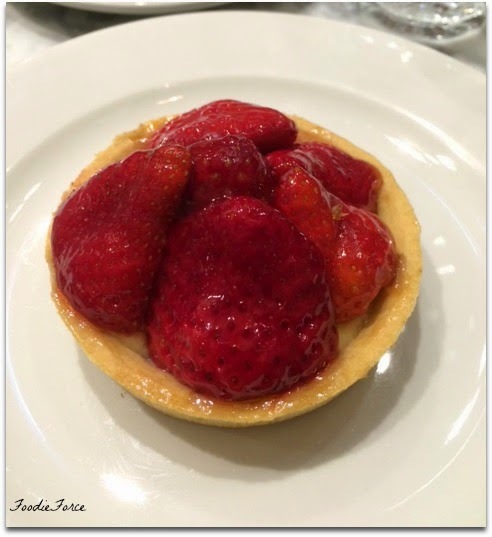 Tartelette fraises, nothing beats crispy, buttery pastry, filled with crème pâtissière and topped with strawberries. I could happily eat these all day and I almost did, before I remembered that I had to relinquish half in order to get half a tartelette citron. Lemon cream is delicious it has a wonderful tartness and is the perfect way to finish off a meal. But there are plenty of other delicious alternatives too. If you could have anything for lunch what would you choose? Do you have a favourite lunch spot? I love the quality there, so much better than your average bakery. Oh my, this looks wonderful! That sausage & mash?! AMAZING! I love Paul but I've never done more than pick up a pastry from there !! I think I need to go and explore their food a bit more! It looks fab, I bet those master classes are so handy. Would make a great present for a friend! I don't think I've had French food before. There's only one store that has it here and I've been meaning to try it. I'll pop in next time when I am in that area. Mmm I love Paul's bakery, but I've never tried hot food there before - I didn't realise they served it! Looks delish! Oh wow, I used to literally be obsessed with 'Paul.' I went practically every day when I lived in France. Such a treat and oh so very French!